Conversion and enhancement of video and audio to M4A and MP4. Is there a better alternative to To M4A Converter? Is To M4A Converter really the best app in Audio category? Will To M4A Converter work good on macOS 10.13.4? To M4A Converter needs a review. Be the first to review this app and get the discussion started! 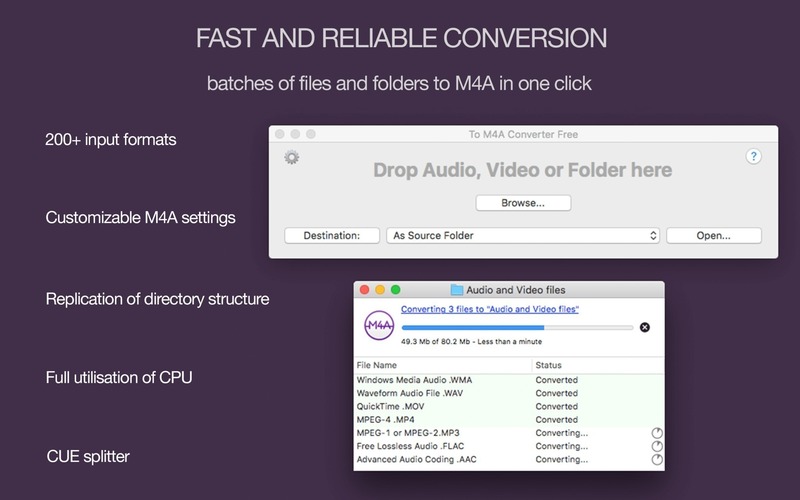 To M4A Converter provides quick and easy conversion of most audio and video files to high-quality M4A or MP4 files. 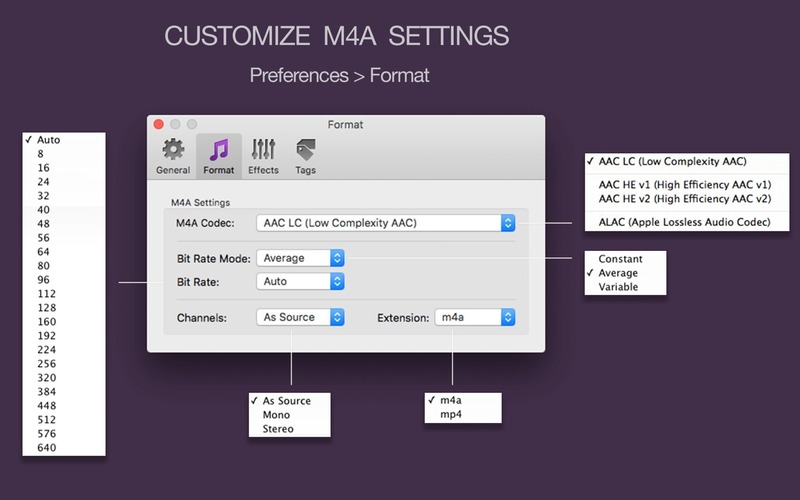 The converter features comprehensive settings for AAC or ALAC audio codecs; and automatic or customisable settings for M4A and MP4 output files, such as constant/average/variable bit-rate mode, auto or preselected bit-rate and channels, and M4A or MP4 extension. 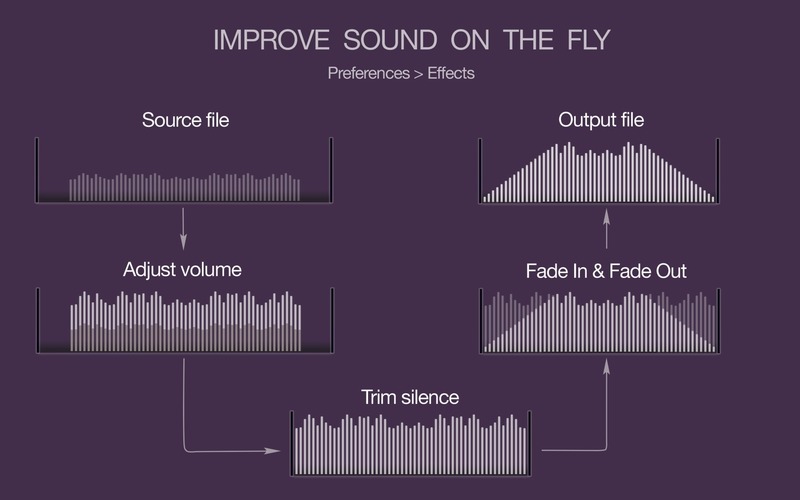 To provide you with even higher-quality audio, the converter can improve the sound of output files through automatic normalization of the volume with Peak or Loudness (EBU R128) method; and application of audio effects (trimming of silence plus fade-in / fade-out). Quick, easy conversion is ensured through batch processing and integration with iTunes. 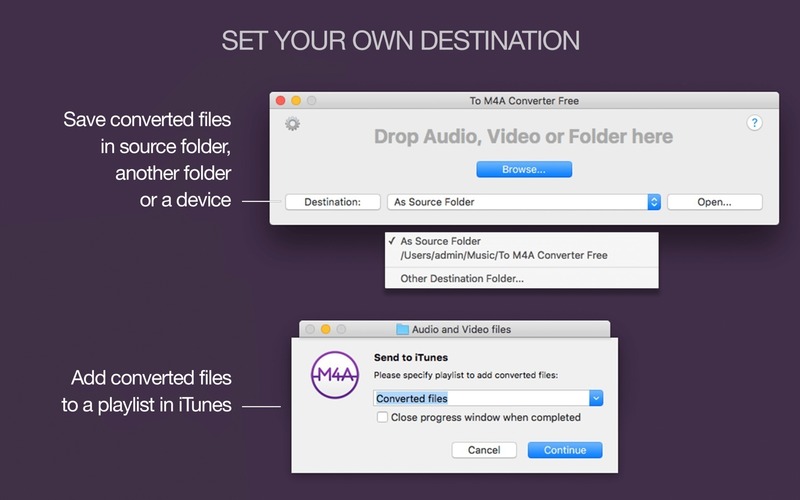 To M4A Converter is able to process thousands of files at once, keeps folder structures intact, and add converted files to an existing or new playlist in iTunes. 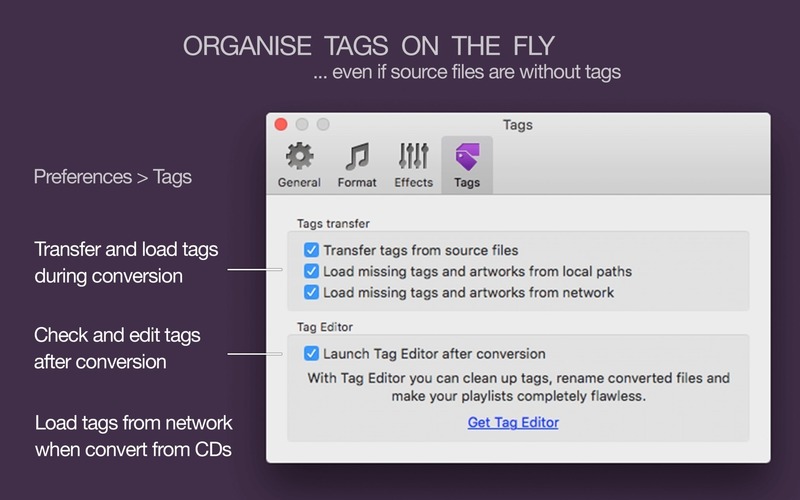 To organise music collections simultaneously with conversion, just turn on tag transfer and loading in Preferences.